The story about the group known as "Ashtar Command” is somewhat painful and at the same time tragic. The mediums of this group were channeling messages of Light, but they were emotionally disturbed. As a matter of fact, They were not contacting embodied extraterrestrials as they said because we know that telepathy does not exist in the physical plane, instead they were contacting with the 90% or thetans of extraterrestrial beings. In addition, these beings of Light were not embodied in the Pleiads because this system does not have planets and there is no life in it, this can be corroborated by astronomers. It’s important to add that the incarnated part of these extraterrestrials didn’t have any idea that their thetans were contacting with terrestrial beings and giving them spiritual teachings. The problem in this case was not caused by these thetans who contacted with terrestrial channelers, the problem was that these mediums had emotional ups and downs. Any medium that has emotional problems is at risk of mental derangement, this is why mediumship is extremely risky, if a medium is not clear (free of engrams) or if he has preconceptions and religious beliefs, this medium can easily lose his mind and he or she could end up in a madhouse or even worse he or she can commit suicide. Interlocutor:.I want to talk about the group called "Ashtar Command" a group that apparently communicates through mediumship with some people, for example, with the members of the RAMA group led by Sixto Paz Wells? Are they channeling spirits of error? Ruanel: No, not in this case. The Ashtar Command is formed by beings of Light. In fact, they are thetans, because these thetans have their incarnated parts embodied in a planet of the galaxy that doesn't have anything to do with Pleiads like these contactees say. Interlocutor: Master, I have read their writings and they are a nonsensical! How do you say that they are beings of Light? 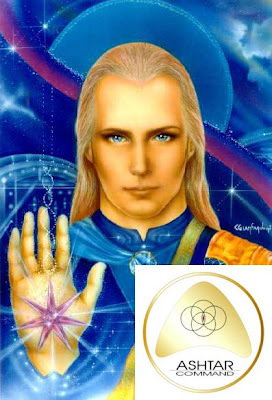 Ruanel: I confirm to you that the spirits that form part of Ashtar Command belong to the Light. The problem is that the American mediums they have chosen have very pronounced emotional problems that provoke an unbalance of their mental decoders. So they make a whimsical translation and therefore they transmit an erroneous message. Johnakan intervened here, through his incarnated part, I mean through this vessel in order to clarify to those mediums by emails the mistakes they were making by diffusing so many errors. He did it, especially to correct their wrong beliefs that the correct behavior was “on being” Instead “on doing”, because that wrong behavior was leading them to idleness. This entry was posted at Saturday, January 16, 2010 and is filed under Who are they? . You can follow any responses to this entry through the .